Not often does a new yacht enter the market that is truly unique and clearly innovative, nudging the enjoyment of the yachting experience even further, if that is possible. 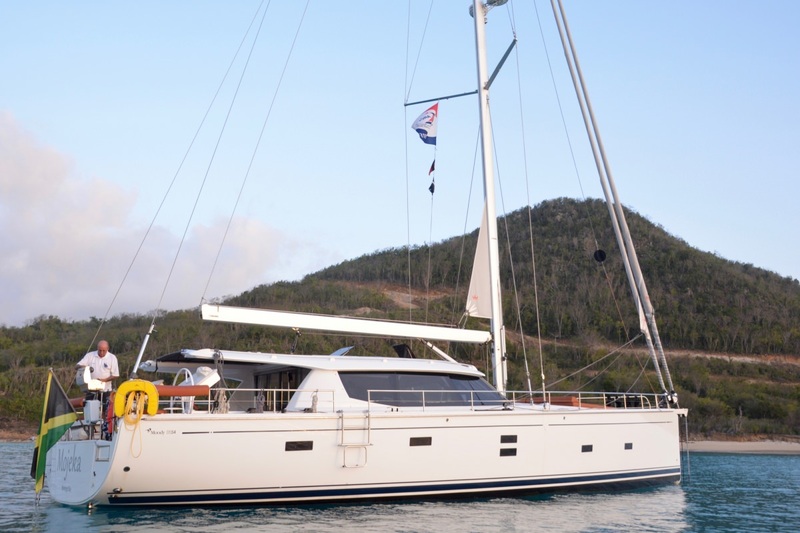 The Moody 54 DS is such a yacht, introducing a new concept in monohull design with the salon and cockpit on the same level – referred to as one level living. 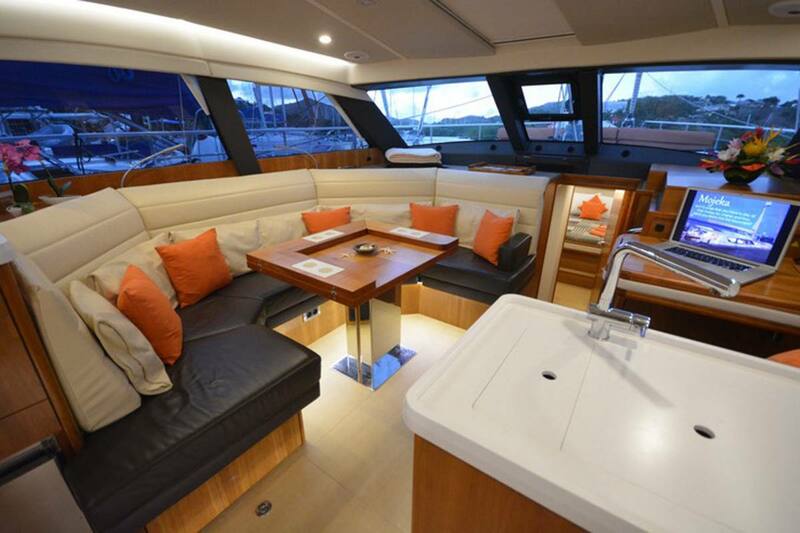 With skylights that flood the main salon with light, panoramic views all-around, and a huge comfortable cockpit with convertible sunning bed, she offers unparalleled luxury and comfort in a yacht of her size. 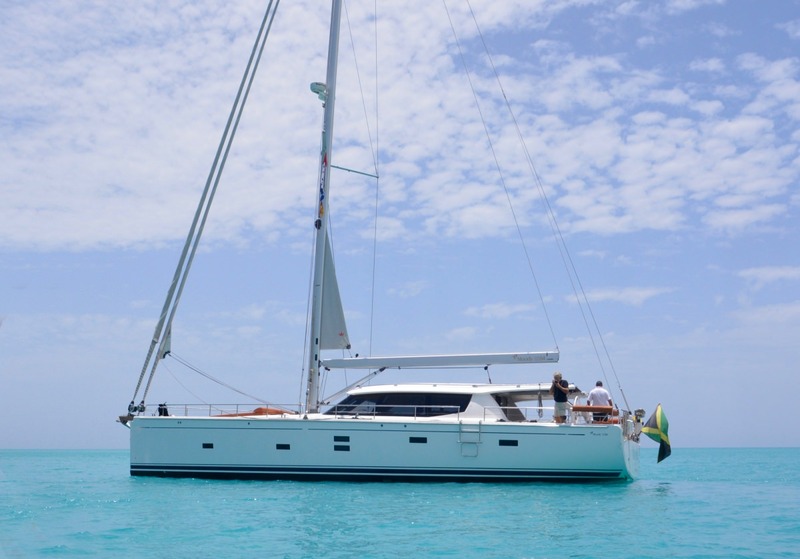 MOJEKA is, simply put, a very special boat combining the benefits of a catamaran with the beauty, grace and sailing characteristics of a monohull. Because she is built with public spaces on the main deck and private staterooms below, she actually fits the space of a 64ft boat into a 54ft boat. Hanse, the owner of Moody since ’07, has always been known for high-sided boats. MOJEKA incorporates this design, which translates to extra side windows and well-lit cabins. 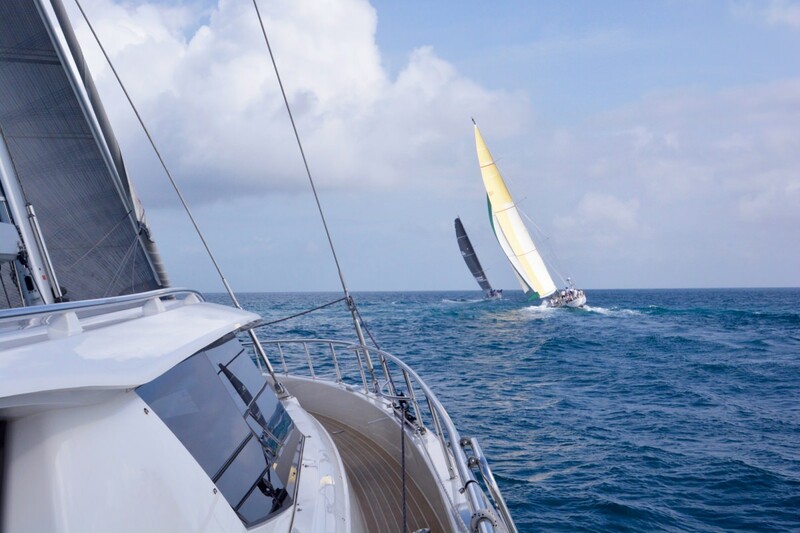 And when it comes to sailing, shes extremely easy to handle and provides absolute sailing satisfaction unique to a monohull. With her powerhouse genoa, she takes off like a rocket and her gennaker produces maximum speed in lighter wind conditions. There is no question that MOJEKA will become the class for a new level of sailing. 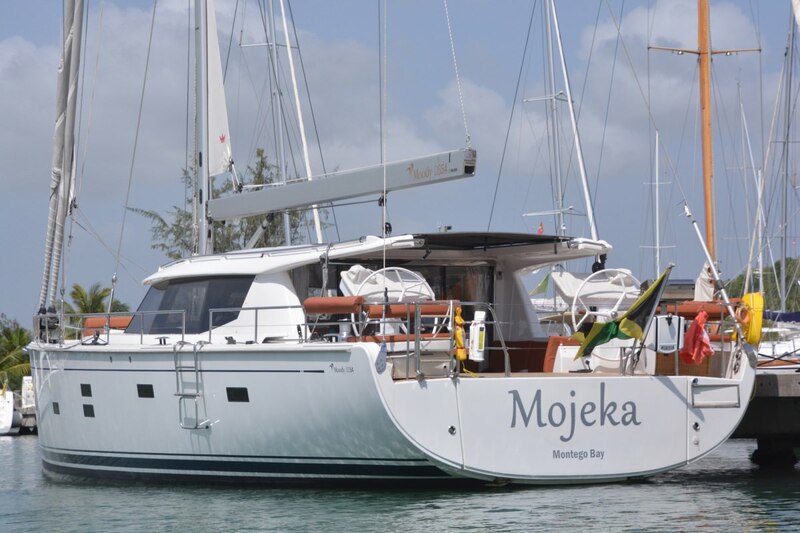 MOJEKA accommodates 6 guests in 3 very comfortable staterooms. Stepping to the lower level, the spacious master with ensuite bath is located forward. A wonderful large skylight directly above the king size bed creates a great view. The bath has a separate shower stall and electric toilet. 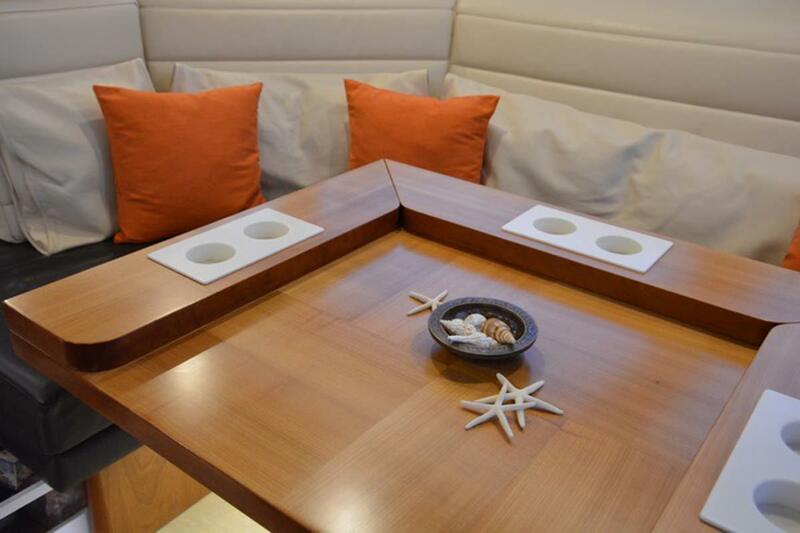 The portside VIP cabin is virtually equal to the master in size only with less headroom. 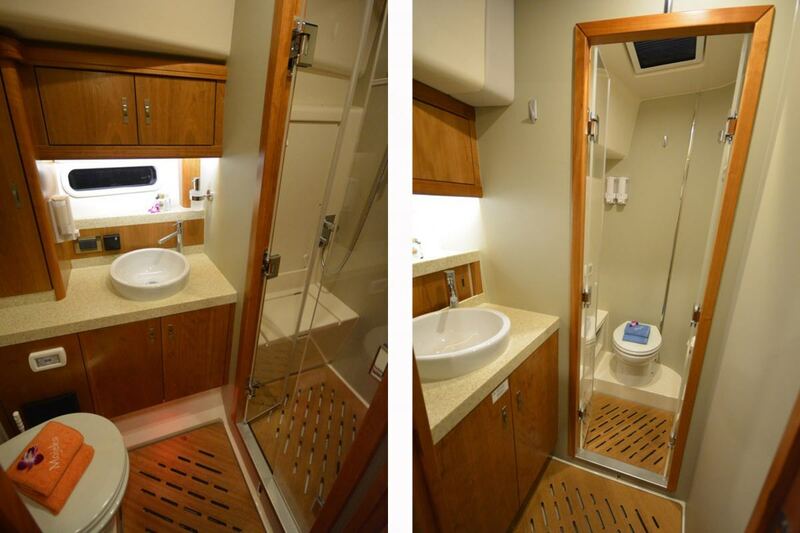 It also offers a luxurious and spacious ensuite bath and shower. 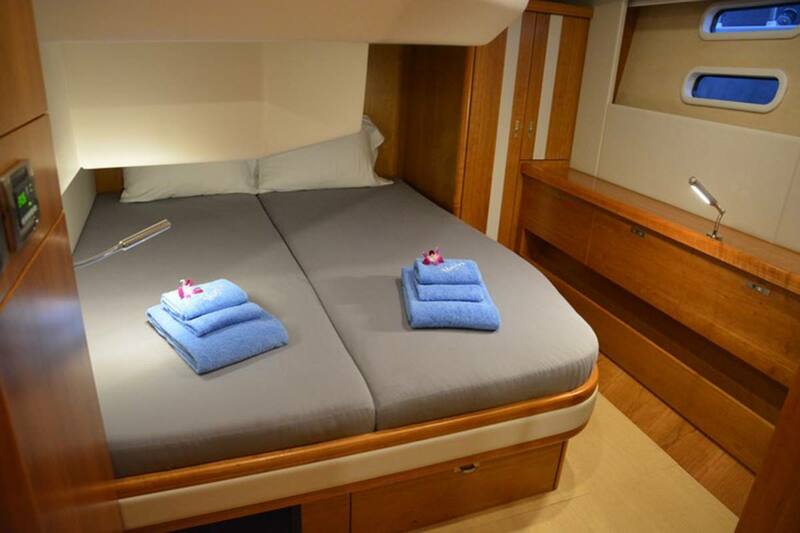 The third guest stateroom with double bed is located starboard side and shares the day head/shower accessed by steps at the rear of the salon, or the other guest heads. The main level features a very spacious salon with large skylights and expansive side windows which create a 360 degree panoramic view. 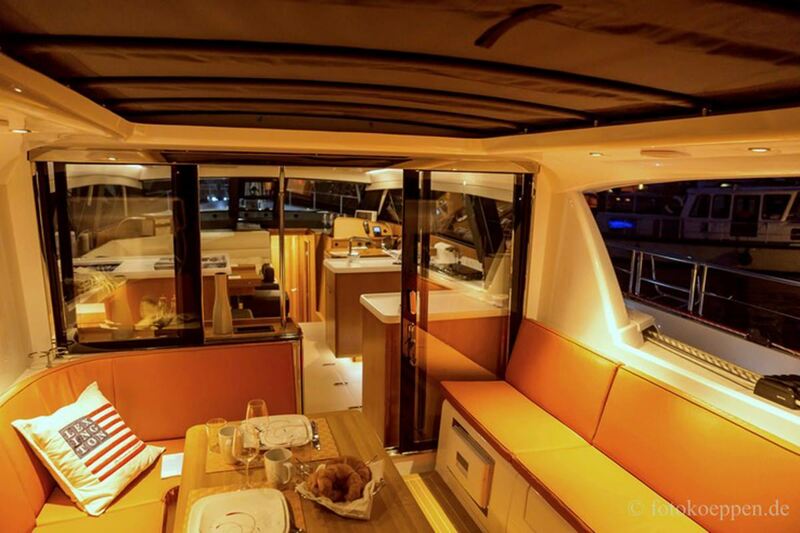 The large galley has many smart conveniences, all incorporated into the design so they are hidden and out of the way when not in use. In addition there is a coffee and cappuccino maker. 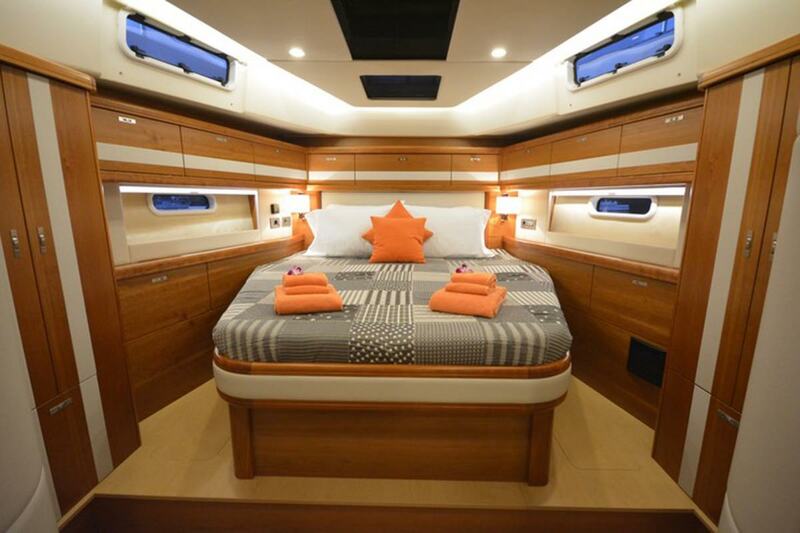 Throughout the yacht one finds such niceties as wood paneled walls with upholstered accent, creating a warm and elegant feel. The safety features incorporated into the design include well-rounded corners, handgrips in all the right places, a very high bulwark, solid steel rails and deck cleats that retract when not in use. MOJEKA is an extremely comfortable and safe choice for just about anyone, offering an unusually high degree of protection, even to children. If you were wondering whether there is special meaning to the name of this lovely yacht, the answer can be found in a beautiful story in which MOJEKAS name sources from the writings about Vasco da Gama, the captain-major of four vessels dispatched by the King of Portugal in 1497 to go in search of spices. The party made landfall in South Africa near the Cape of Good Hope. They found the inhabitants of this country to be very pleasant and hospitable, as they spent time with them waiting for a weather window to round the Cape. When they finally made their departure, the natives bid goodbye by shouting Mojeka, Mojeka again and again, which seemed to bestow best wishes for a safe and successful journey. 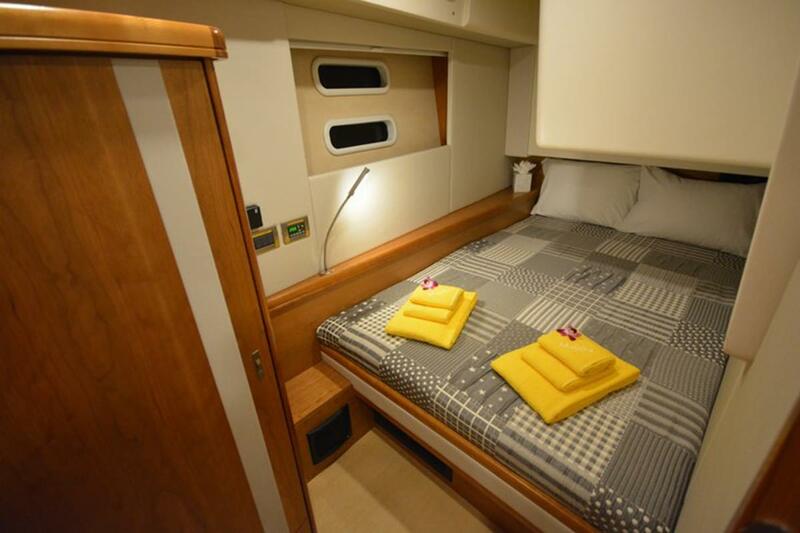 And so you will find the gracious accommodation of a holiday aboard MOJEKA. 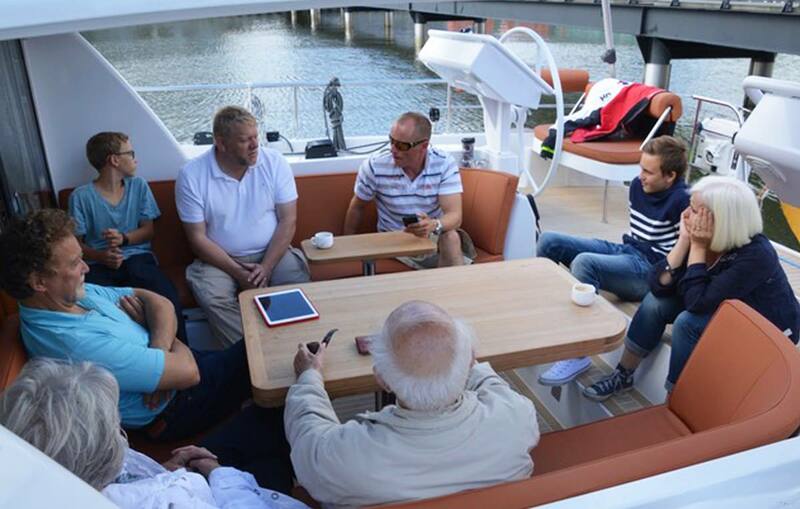 For emergencies the guests can use the boat's computer to check emails. Captain Augustine (Gus) Clement is originally from Grenada’s little sister island of Petite Martinique. He says he grew up as a “sea boy”. In part, because on a tiny island you’re always just steps from the sea. More so because he can’t remember a time when he wasn’t on boats. 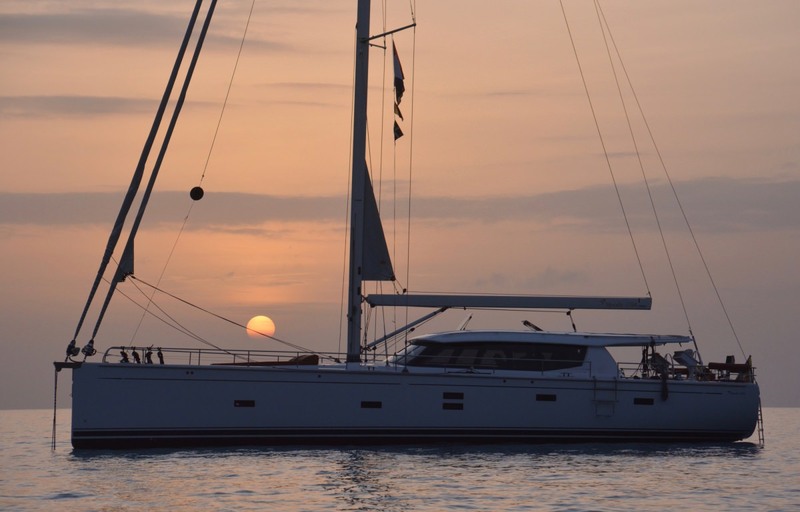 To date, he has sailed over 100k nautical miles, on both charter and private yachts, in the Caribbean, Atlantic, Mediterranean, South Pacific, Canada, and the Americas. 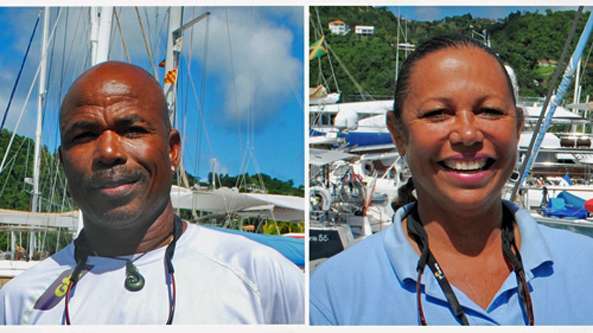 Having grown up in the islands of Grenada, Captain Gus is an especially remarkable host. Guests will experience magnificent sailing because Gus knows the winds, seas, and tides with the intimacy of old friends. As an avid sports fisherman, he knows where the fish are. Let him know if you prefer complete solitude or a bit of mayhem on your beach; shallow reefs for snorkeling, or shady banks for a barbecue. 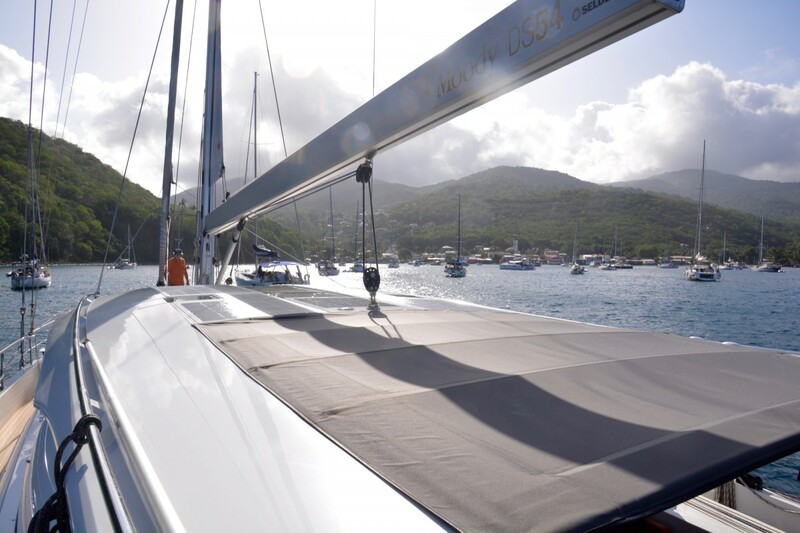 Your charter itinerary on MOJEKA will be exactly what you want. 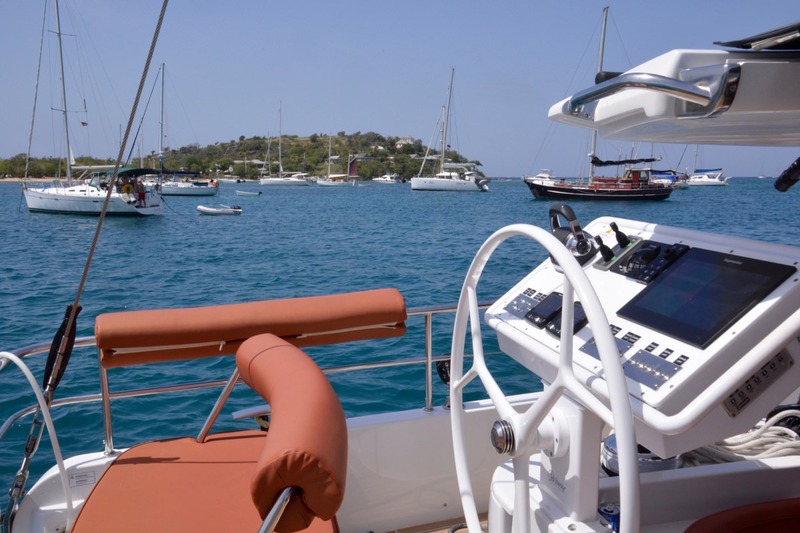 Captain Gus is qualified as Yachtmaster Ocean 200tons # 1894 issued 20 January 1997, Commercial Endorsement, MCA Seafarer Medical Certificate ENG 1 and Marine Safety Training STCW95 #005380 from the Royal Yachting Association Department of Transport United Kingdom. Ellie Mae Byas has an infectious smile, a subtle sense of humor, and a lengthy list of impressive accomplishments. She was born and educated in Amsterdam, Netherlands, but is truly a citizen of the world. She is certified as a P.A.D.I Open Water Scuba instructor. She has taught scuba at Club Meds, Robinson Clubs, in the Maldives, managed a dive center in Rovinj, Croatia, and owned a dive center in Mallorca. 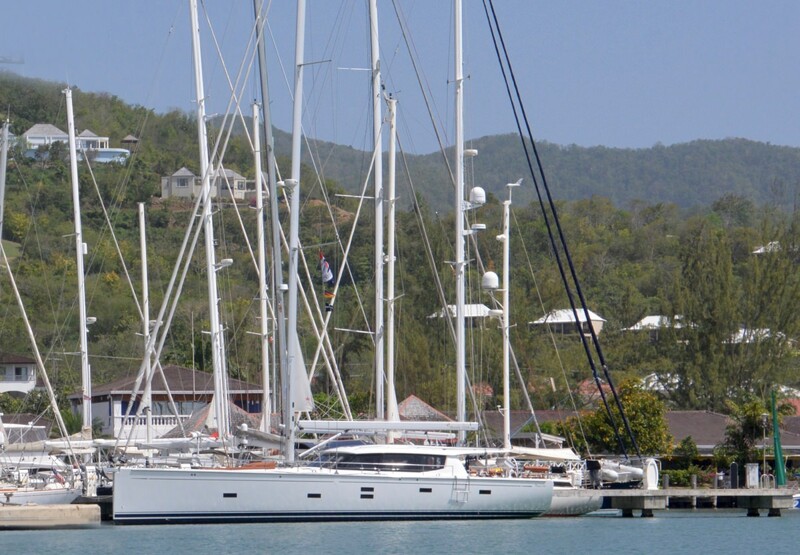 She has R.Y.A Certification Yachtmaster Offshore and has circumnavigated the globe in her own yacht, Bon Bini. 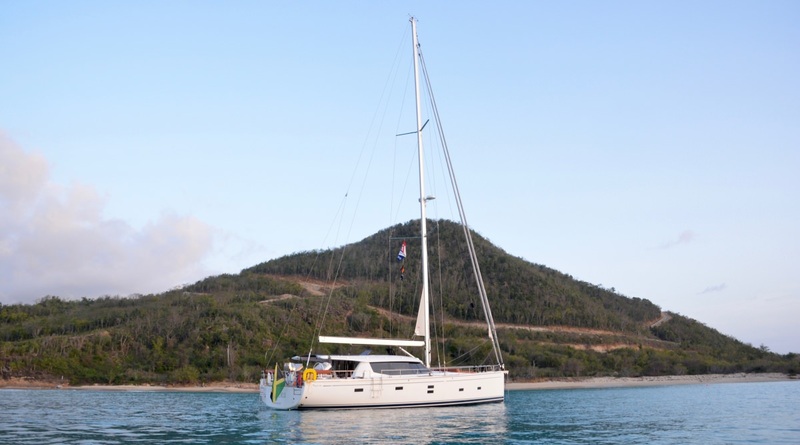 With a little coaxing, guests aboard MOJEKA can persuade Ellie into recounting some amazing sea stories. 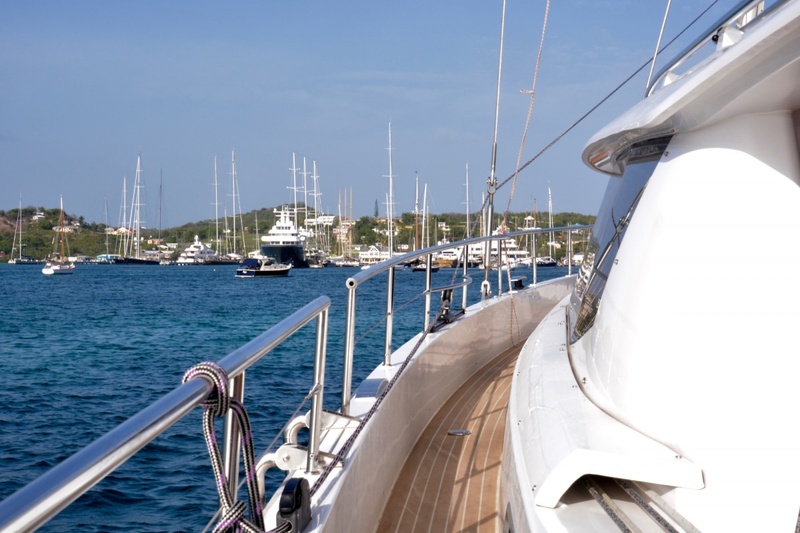 Ellie has been a charter yacht chef for more than a decade. Although she specializes in recipes with fresh seafood and local ingredients, having lived all over the world she has a sophisticated repertoire. Of course, her menu is based on guest preferences. So, whether the mood dictates a gourmet menu paired with fine wine, or sandwiches with a hot cup of Grenada chocolate, guests are never disappointed. Even those on special diets. Ellie’s hobbies are spearfishing, snorkeling, scuba diving, and sailing. She also has a small cottage industry smoking fish. 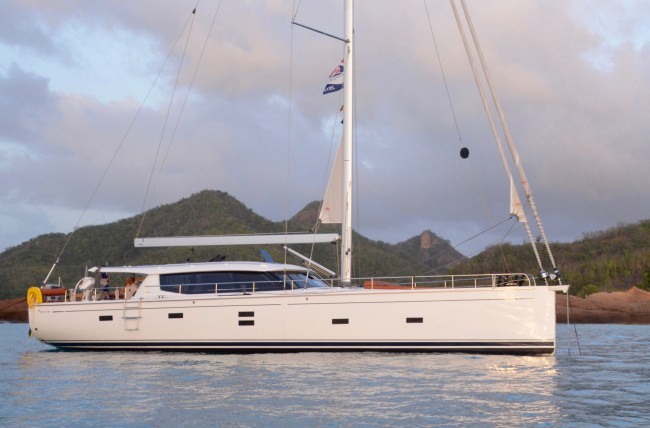 Provided there’s time away from the galley, she welcomes guests to join her in any activities of interest. And she can explain things to almost everyone in a way they can understand it, because she is fluent in English, Dutch, German and French and conversational Spanish.